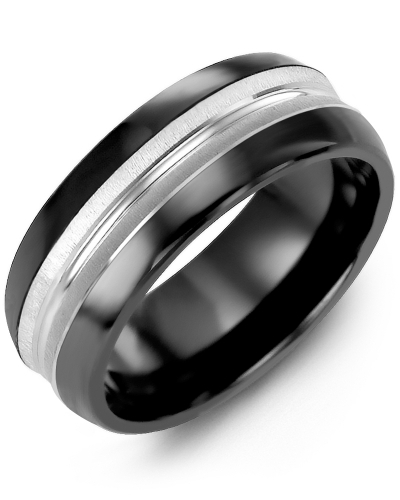 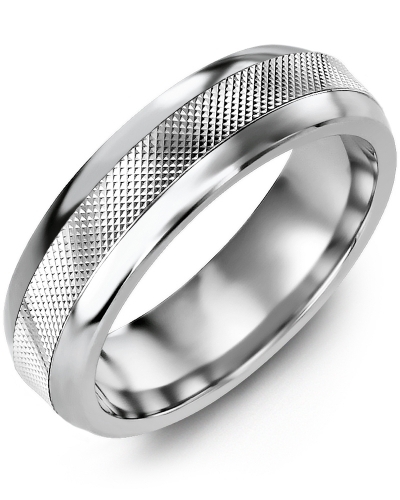 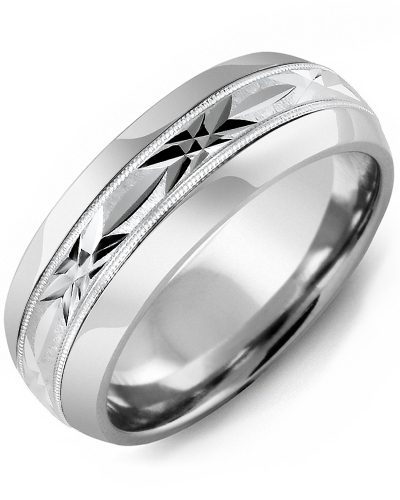 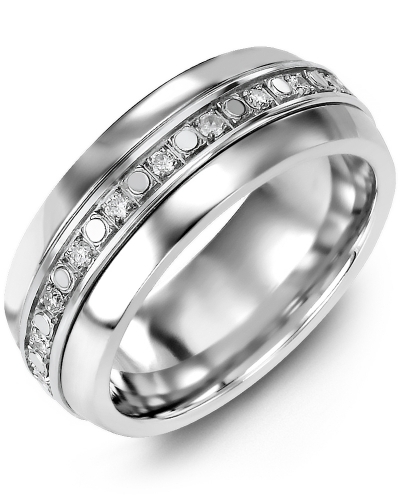 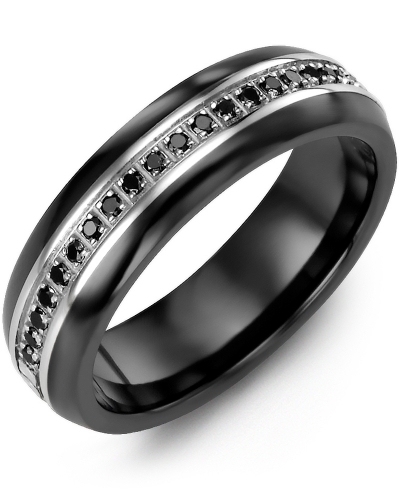 MFA - Brush Bevelled Diamond Wedding Band A dazzling piece of jewellery for discerning men and women, this cobalt ring, tungsten ring, or ceramic ring features a gold insert and your choice of 9, 12 or 24 diamonds. 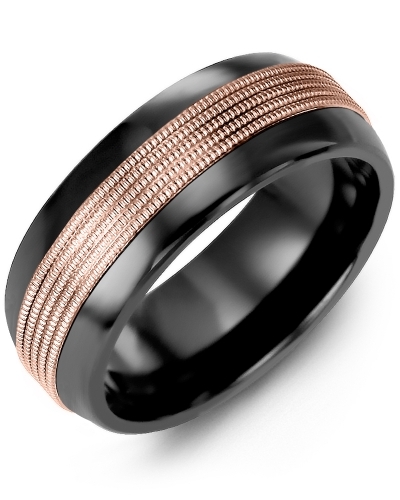 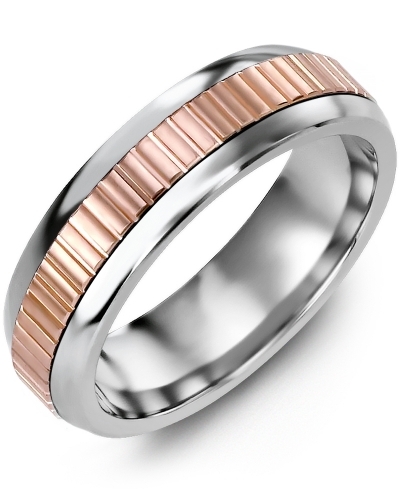 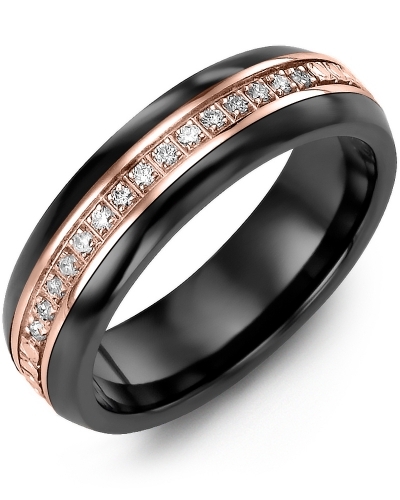 For contrast and just a hint of sophisticated colour, the insert is available in white gold, yellow gold, or rose gold and 10kt, 14kt or 18kt options. 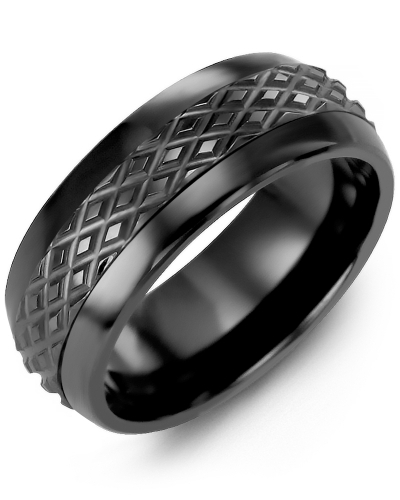 Choose from 6.5mm or 8.5mm variations, and personalise the inside of the ring with engraving to create a bespoke piece of jewellery. 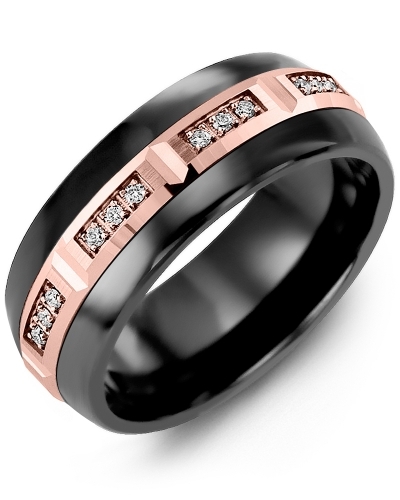 A dazzling piece of jewellery for discerning men and women, this cobalt ring, tungsten ring, or ceramic ring features a gold insert and your choice of 9, 12 or 24 diamonds. For contrast and just a hint of sophisticated colour, the insert is available in white gold, yellow gold, or rose gold and 10kt, 14kt or 18kt options. Choose from 6.5mm or 8.5mm variations, and personalise the inside of the ring with engraving to create a bespoke piece of jewellery. Excellent quality, great customer service and quick shipping. The entire process from start to finish was quick and easy, I would recommend to anyone.